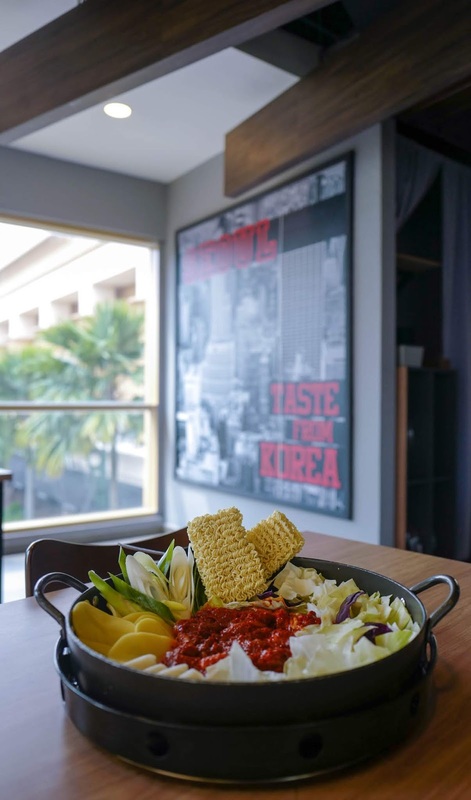 Bringing a fresh take to the Korean spicy stir-fried chicken experience, Mr. Dakgalbi Dining launched this year at Sunway Pyramid in a scenic setting that combines flavourful recipes with personalised service and a bright, leafy view to pair with your meal. 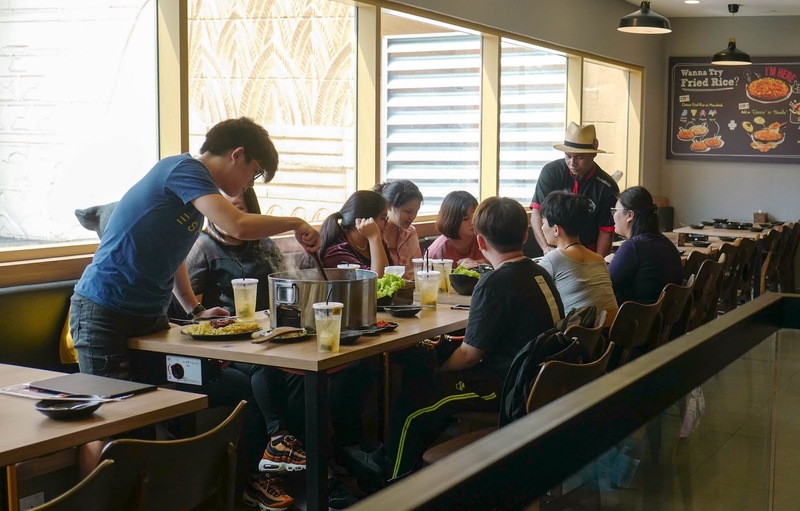 It's the ideal restaurant for communal feasts, bringing together families and friends for hot and hearty, seasoned and sumptuous cuisine. 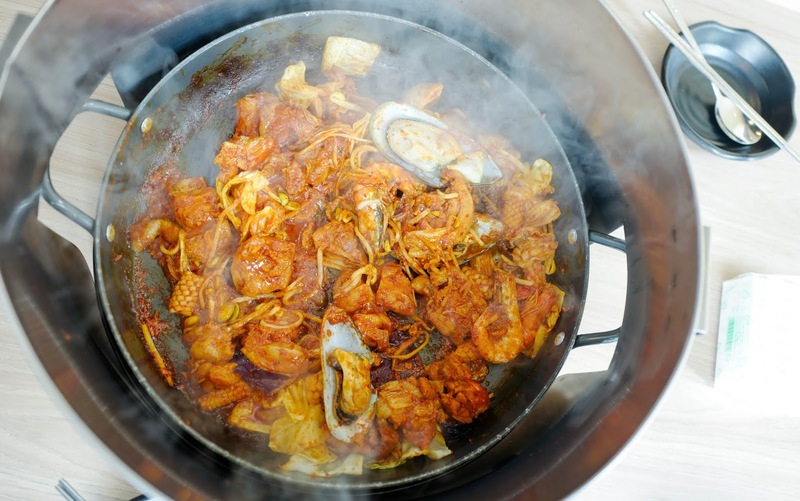 Step into this spacious venue and the team here will promptly take your order, prepare your cutlery and commence the cooking - Dakgalbi sets are the cornerstone of the menu, casting the spotlight on marinated chicken served in a rich sauce unmistakably created with Korean gochujang chilli pepper paste, partnered with sliced potatoes, rice cakes, cabbage, leeks, noodles and a bounty of other ingredients, in princely portions for two to four persons. 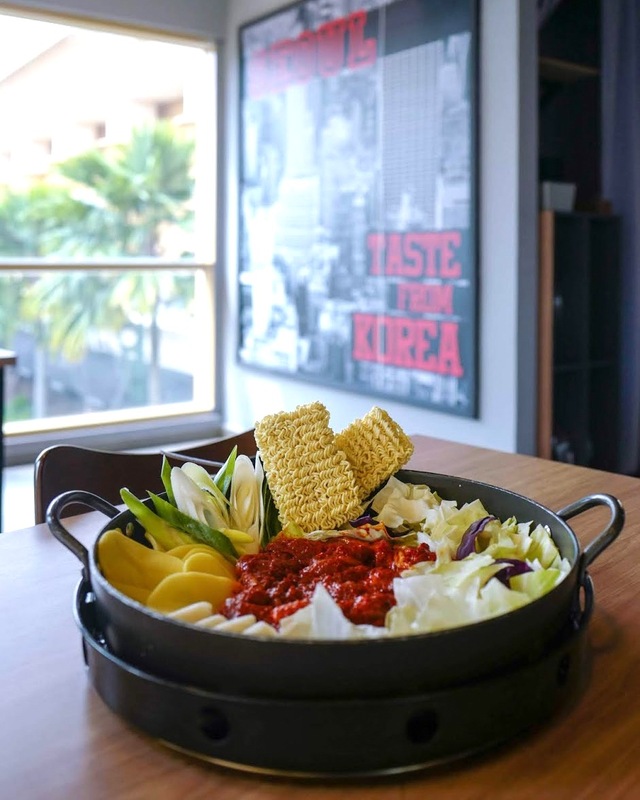 If you're new to dakgalbi, this place provides the ideal introduction to this popular dish, a staple in Korea for more than five decades. 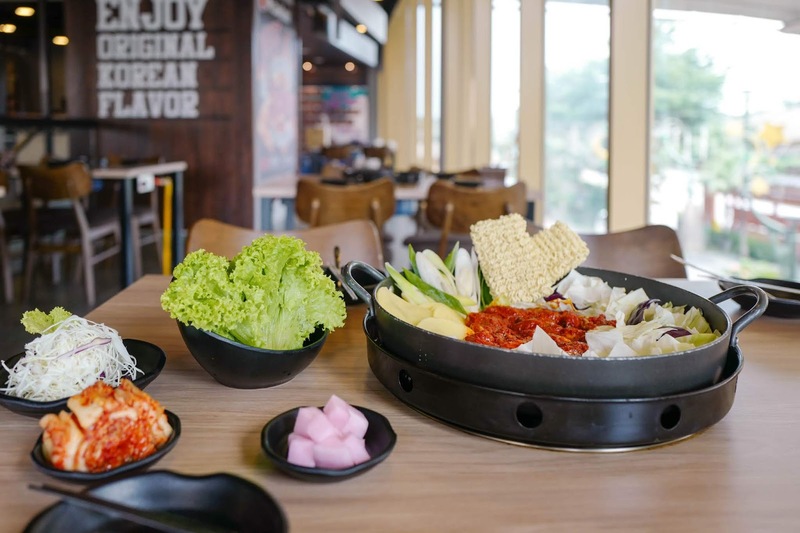 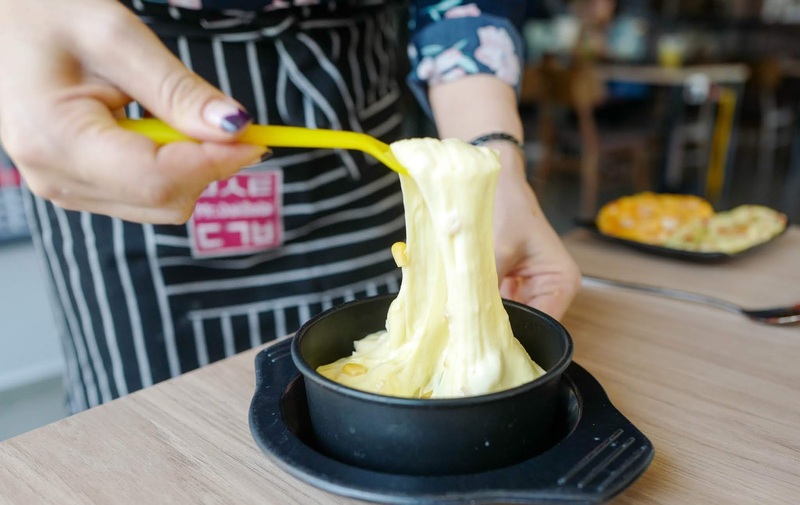 We sampled one crowd-pleasing Dakgalbi set that's exclusive to Mr. Dakgalbi Dining in Sunway Pyramid - the Cheese Fondue Dakgalbi, with melted cheese to enhance the lusciousness of this concoction. 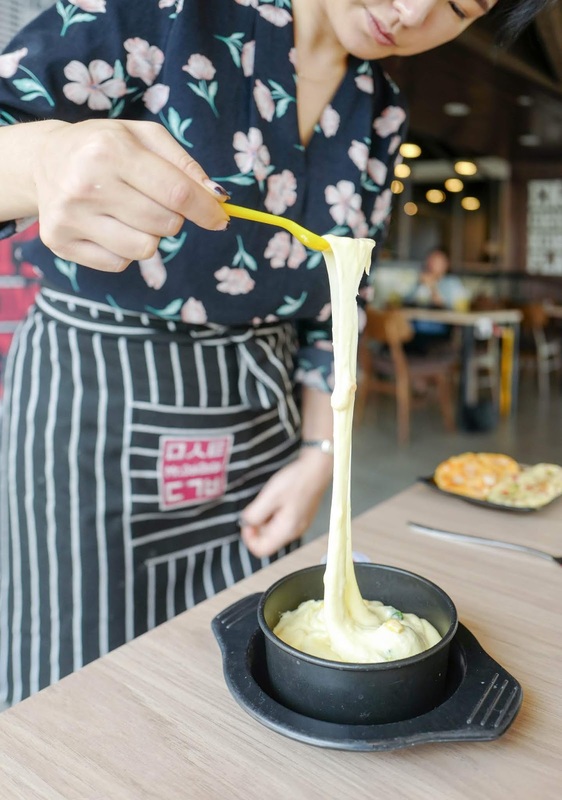 The cheese's creamy savouriness nicely complements the spicy sting of the chilli paste, so you'll enjoy multiple layers of flavour and texture. 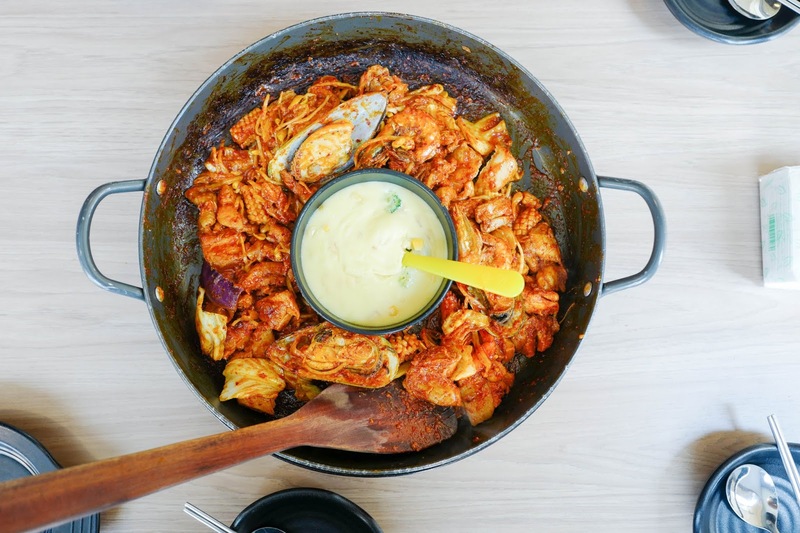 The service team will help cook this for you from start to finish, mixing up the contents of the pot till the food shows off an appetising sheen - it's completely addictive, so most customers will find themselves easily polishing off every spoonful. 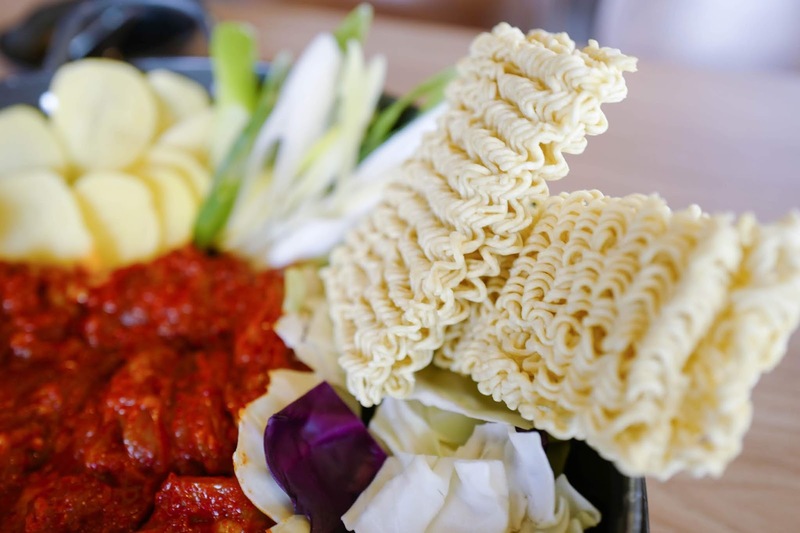 Everything works in harmony, with the tender chicken promising the protein, the crisp vegetables balancing out for the fibre, and the firm, substantial noodles supplying the base of carbs that bind it all together. 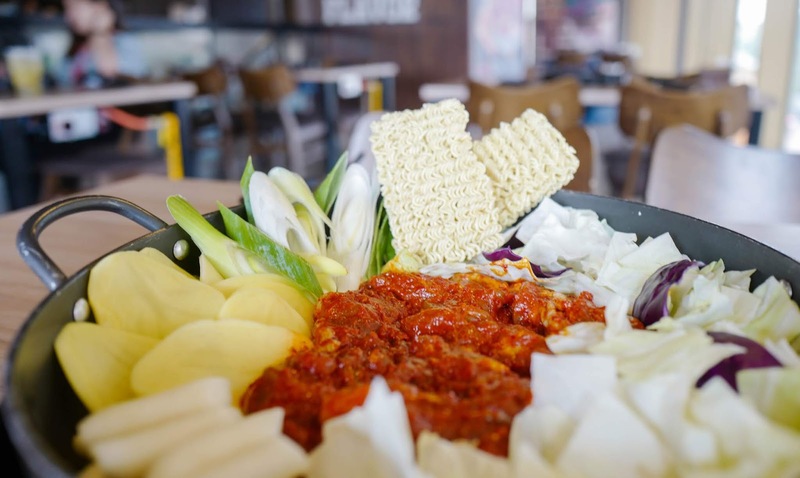 Each set costs RM62 for the Medium portion pictured here, and RM80 for a larger serving. 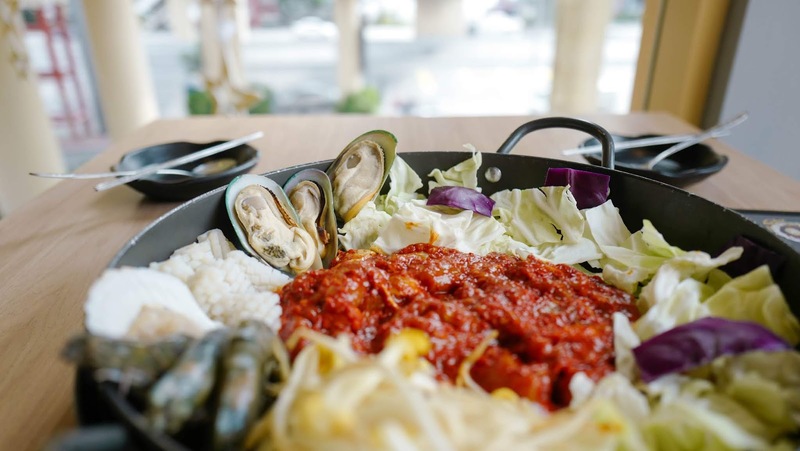 If you prefer a taste of the ocean, the Seafood Dakgalbi should float your boat, brimming with mussels, shrimp, squid, octopus and bean sprouts (Medium for RM61; Large RM85). 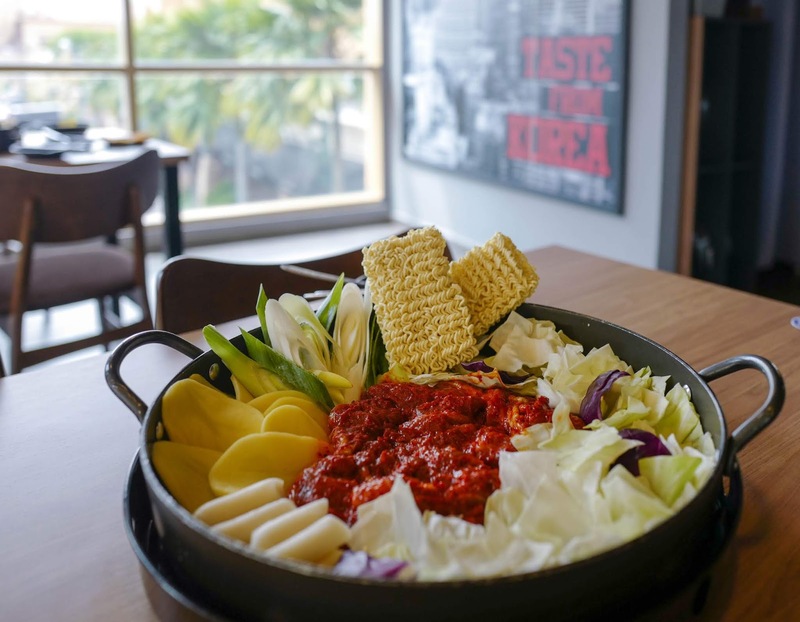 Other Dakgalbi sets include the Hot and Spicy Dakgalbi (which we're told packs more than twice the heat of the original recipe), and the Bulgogi Dakgalbi (with chicken prepared bulgogi-style in the manner that evokes barbecues, making it the non-spicy option). 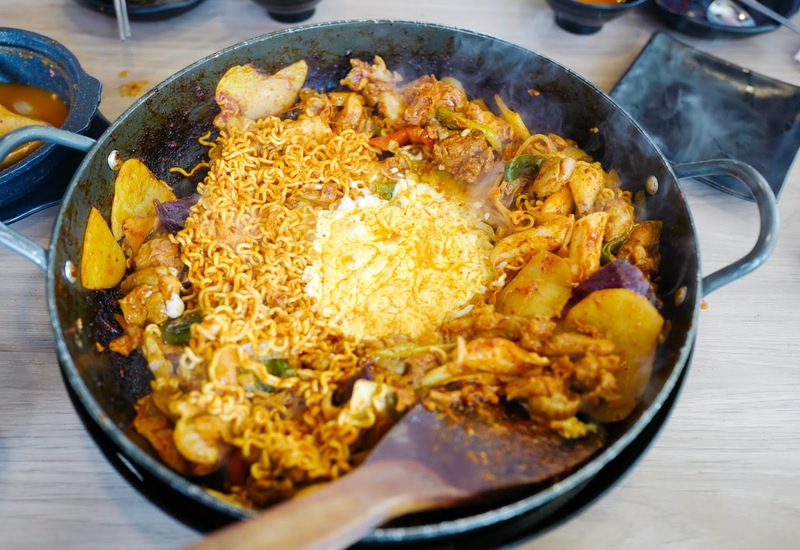 We enjoyed our Dakgalbi sets with authentic thin handmade Korean noodles (RM7) and Steamed Rice (RM4). 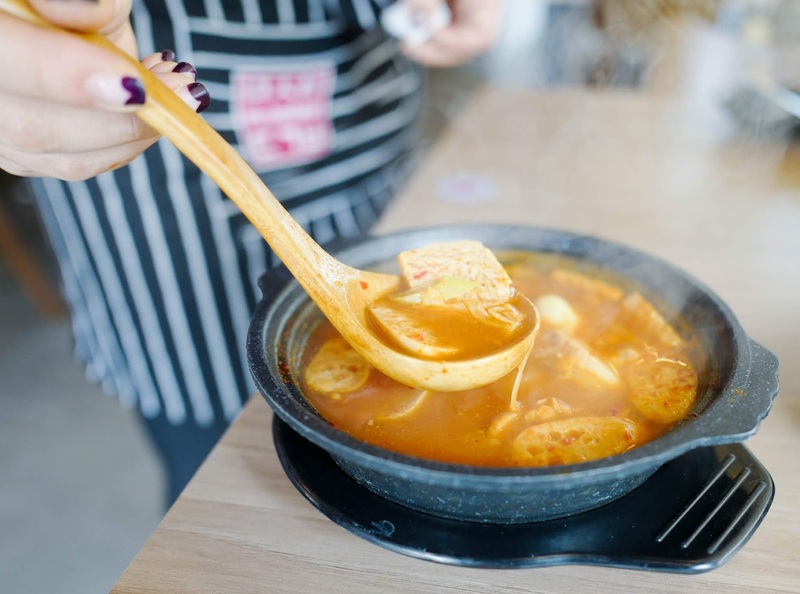 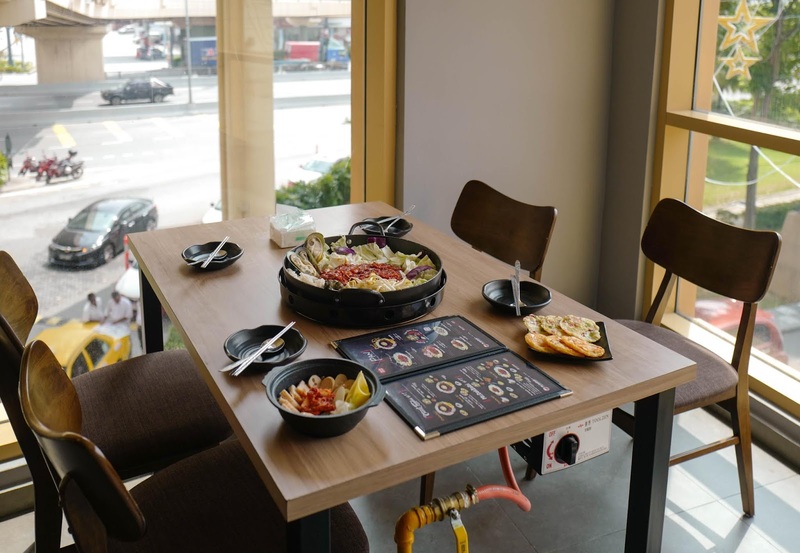 Various add-on possibilities are available, including the Cheese Fondue (RM17), as well as Octopus (RM13), Shrimp (RM13), and 200 grams' worth of Dakgalbi chicken (RM17). 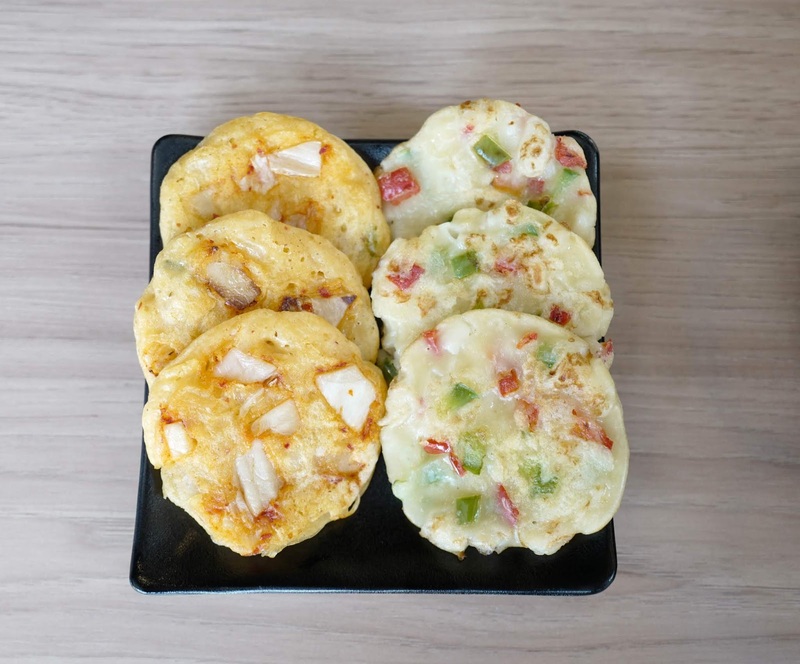 Side dishes comprise the likes of Mini Pancakes in two potential flavours, kimchi and octopus, for a fun snack to share; you can have both flavours in one serving if you like (four pancakes for RM4, six for RM6). 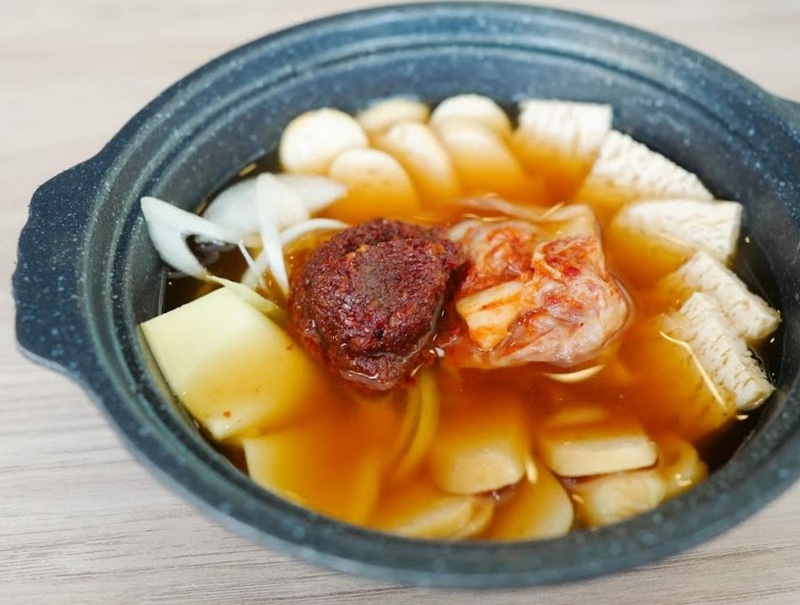 And if you relish heartwarming soups, sample the Kimchi Soup, slurp-worthy with a tangy kick (RM12). 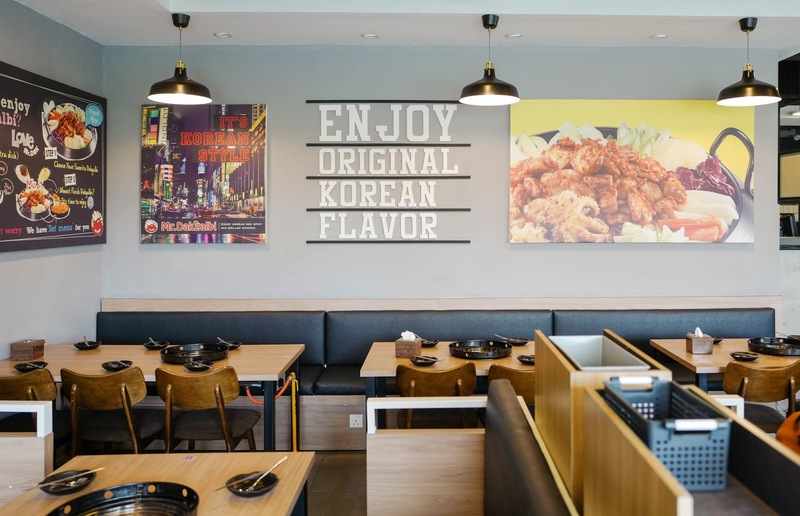 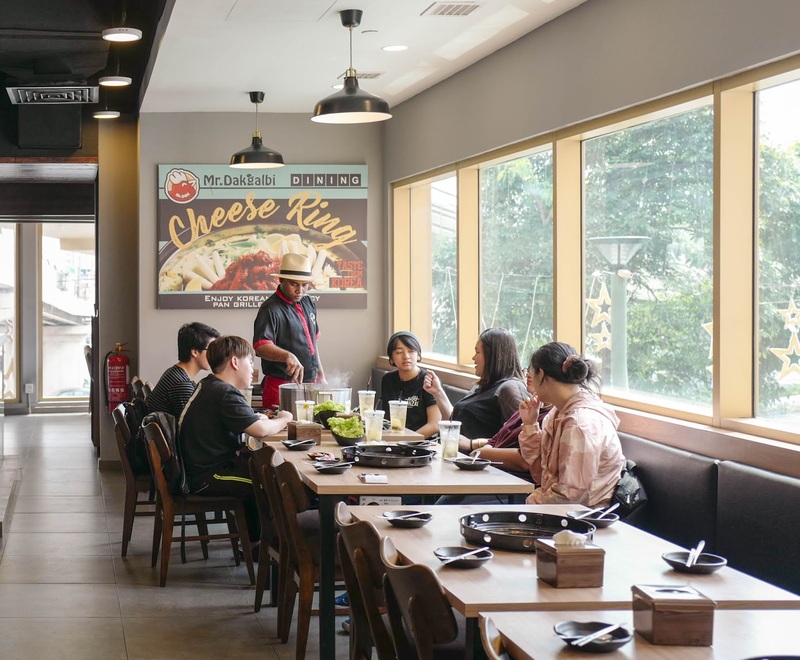 All customers at Mr. Dakgalbi dining receive unlimited banchan-style servings of kimchi, lettuce, radish and salad; you'll receive a portion of each to start with, and feel free to ask for more whenever you want. 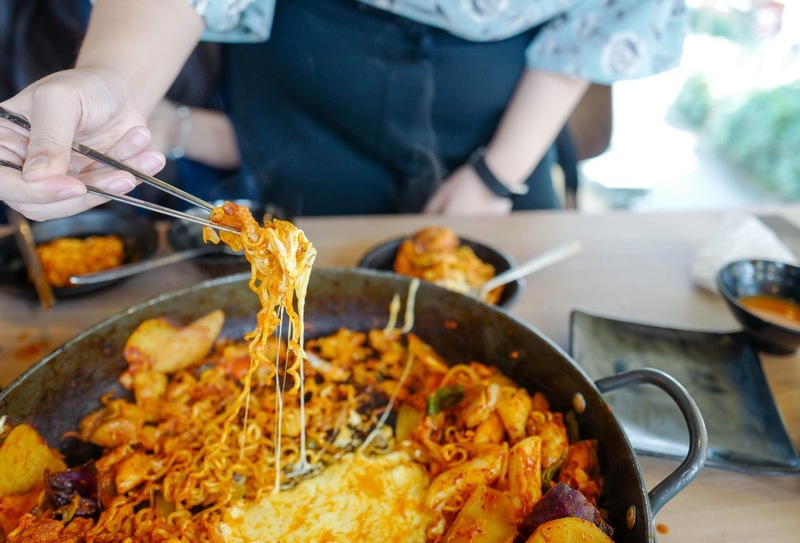 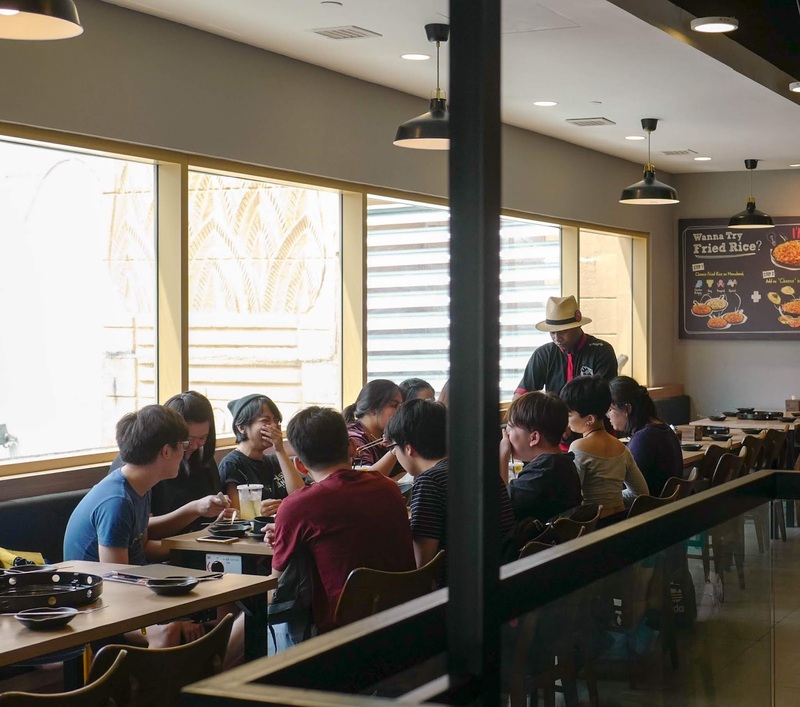 For single-plate meals, Mr. Dakgalbi Dining also offers a variety of pan-fried rice, targeting customers who want their own individual meals. 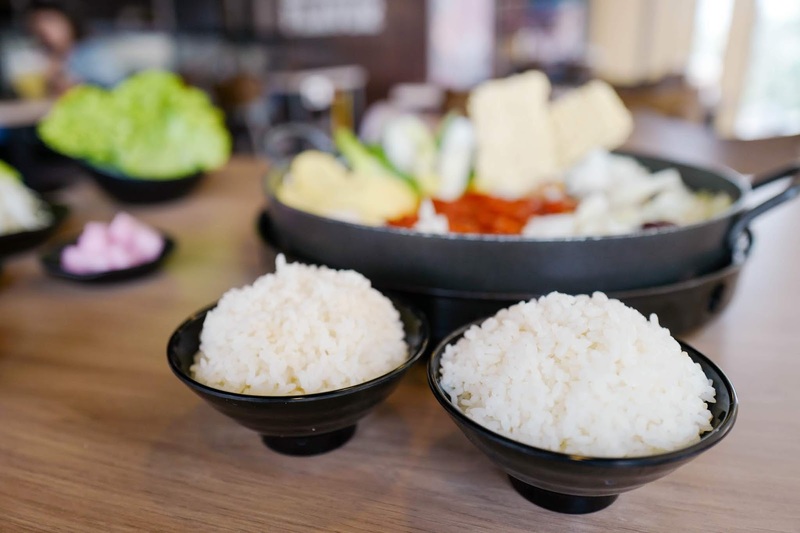 These include Chicken Bulgogi Fried Rice, Cheese Fried Rice, and Beef Fried Rice, priced from RM15 to RM17, with the unlimited side dishes too. 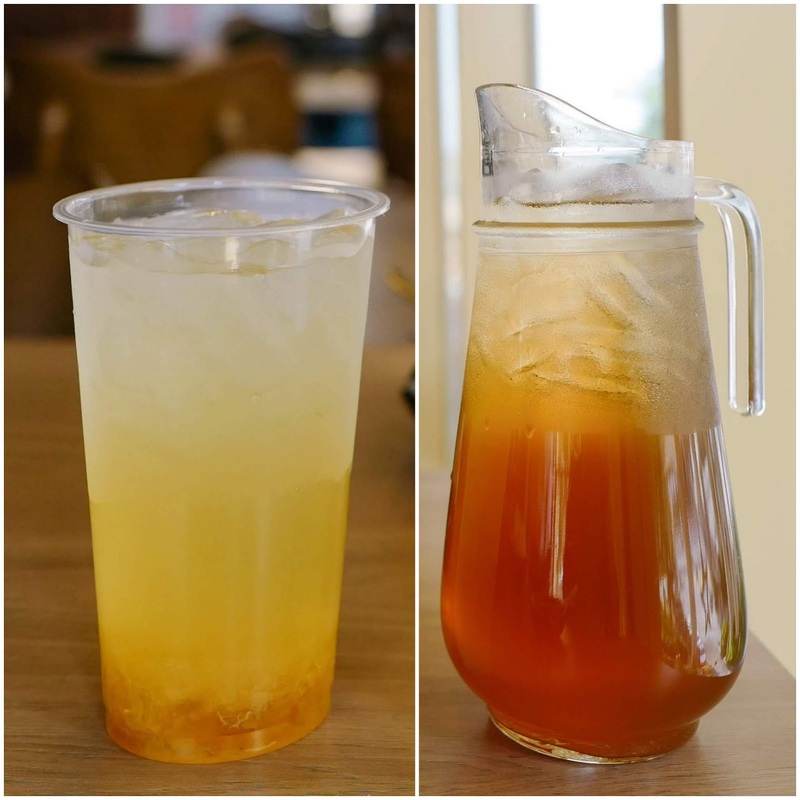 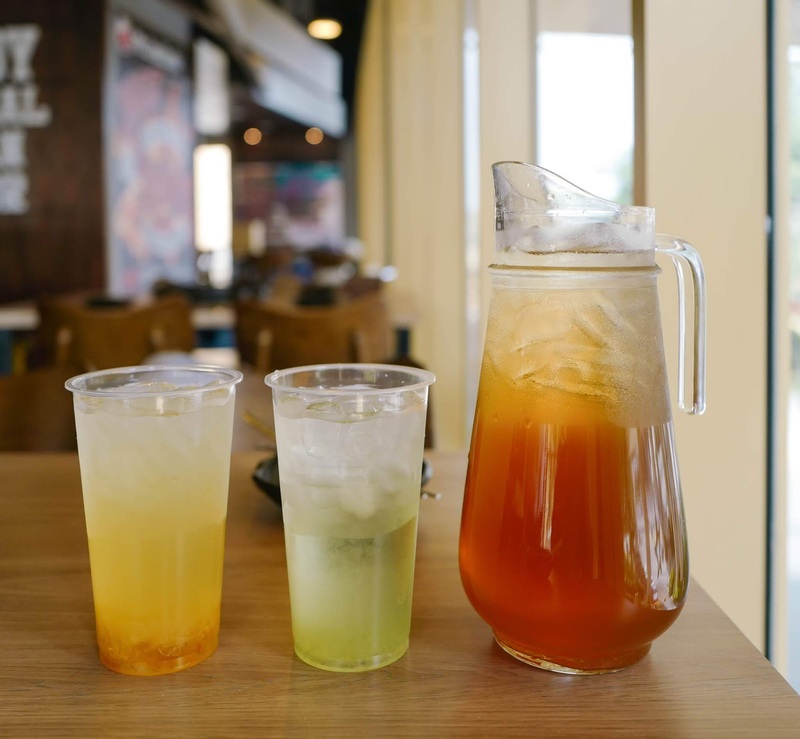 In terms of beverages, the thirst-quenching Korean Citron Honey Tea (RM6) is a new entry to Mr. Dakgalbi's repertoire; for larger groups, order a jug of Iced Lemon Tea (RM12). 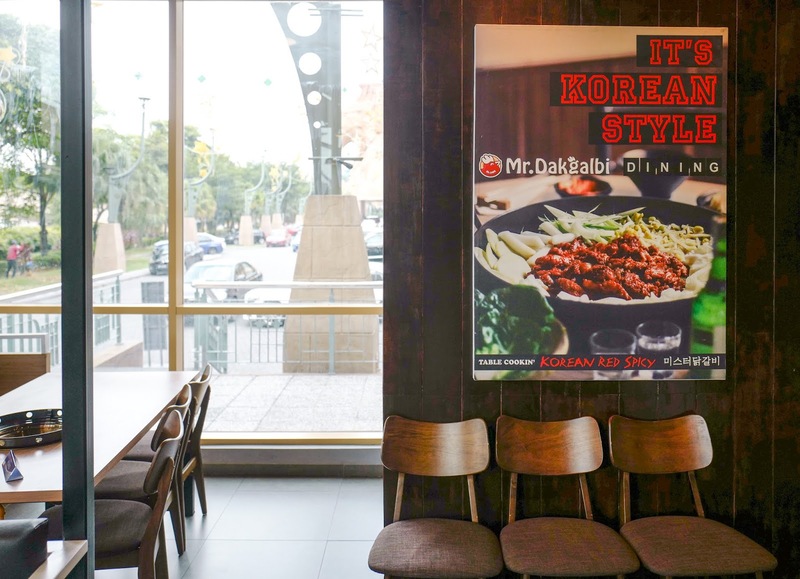 Many thanks to Mr. Dakgalbi Dining for having us here. 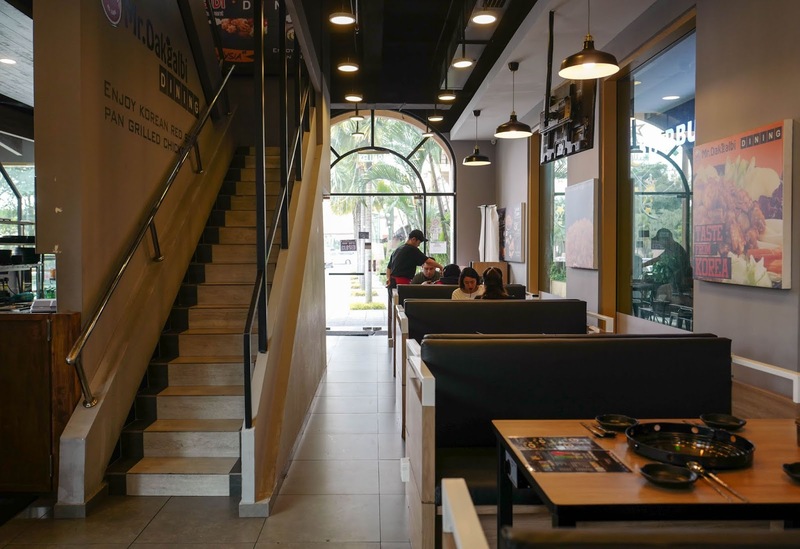 Lot 0083.F.6, Oasis Boulevard, Sunway Pyramid, Jalan PJS 11/15, Bandar Sunway, 47500 Subang Jaya, Selangor. 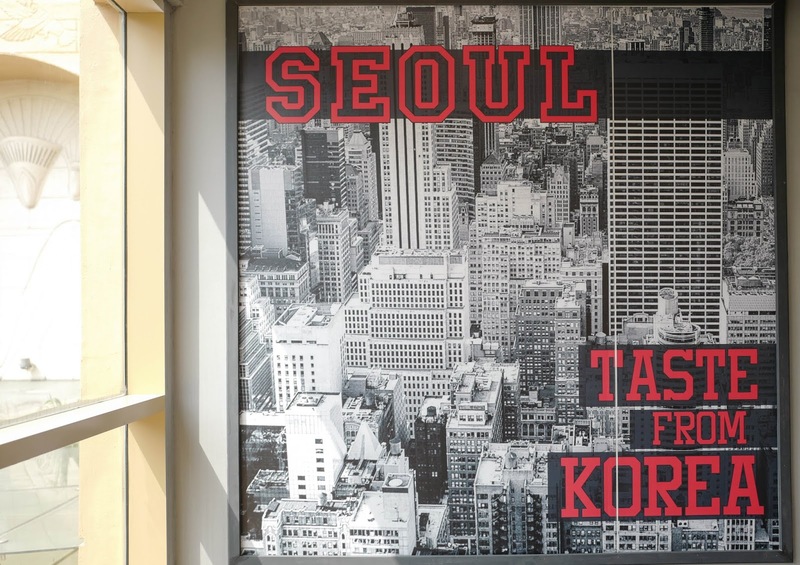 Note that Mr. Dakgalbi Dining is not directly accessible from inside the mall. 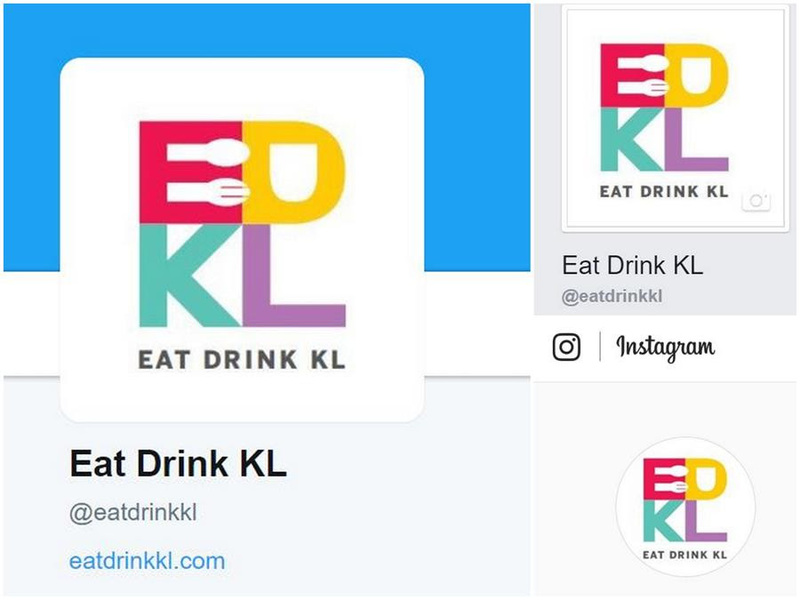 Look for the restaurant at the main entrance of Sunway Pyramid, next to Starbucks. 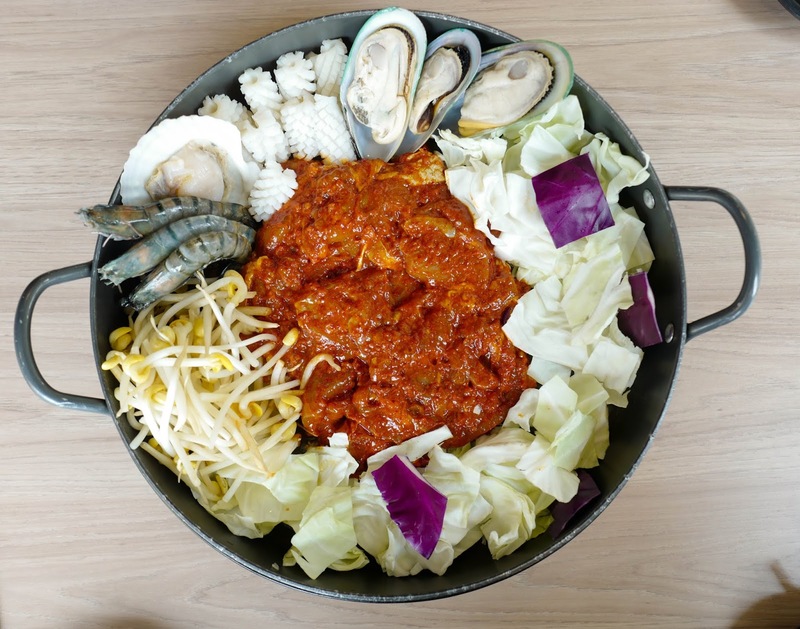 It's been a while since my last Dakgalbi, I always like to add ramen to it.